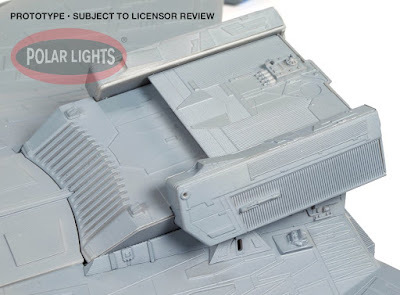 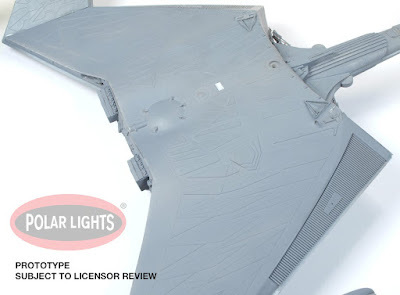 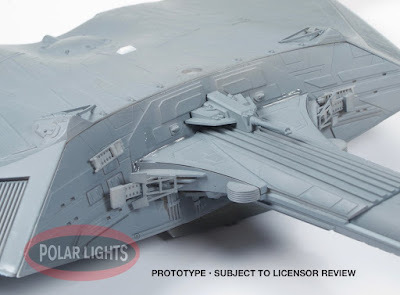 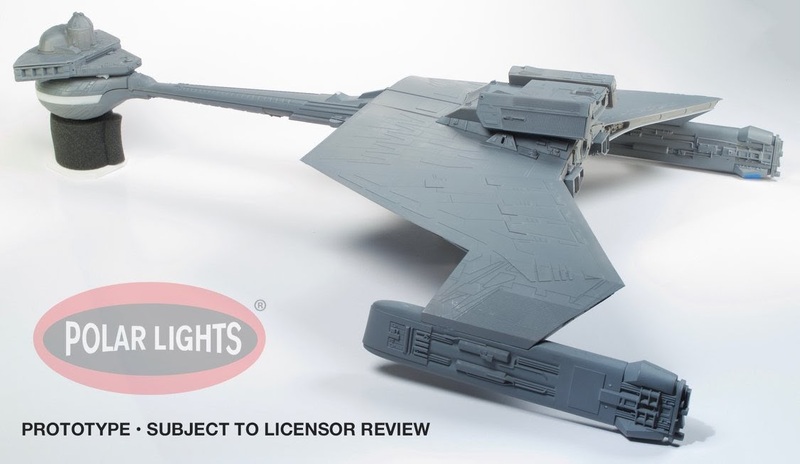 Round 2 Models have been teasing some big Star Trek model kit news was coming, and have now revealed all, in the form of a glorious Polar Lights 1:350 scale kit of the iconic Klingon K't'inga class battlecruiser. 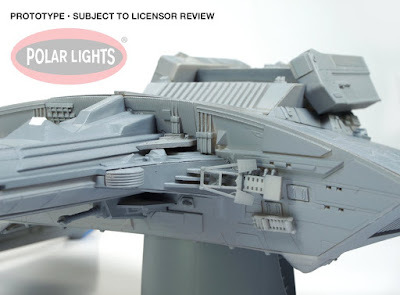 An ideal companion to their previous 1:350 kits of the USS Enterprise and refit USS Enterprise, this kit stand apart even from those impressive pieces thanks to it's insanely intricate detailing, with surface texture and tiny bits of somethings all over the ship. 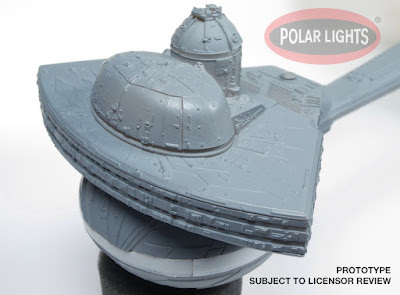 Continue below for a closer look and more details of this and other forthcoming releases. 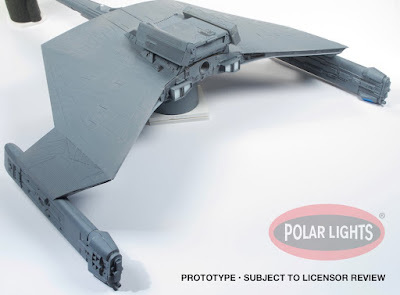 Note these images are of a prototype, and any gaps or random bits of different colour plastic will be sorted out before the final kit goes into production. 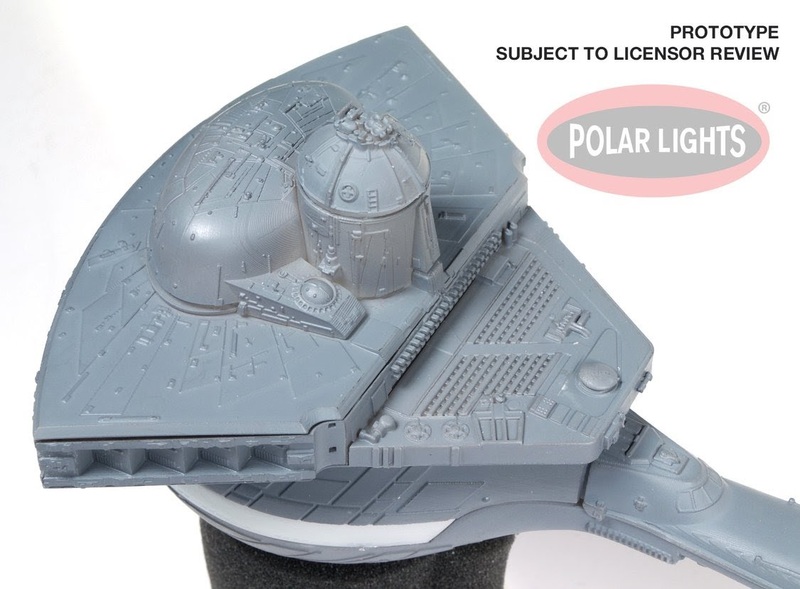 Those were just a few of the images Round 2 have released, you can see even more on their blog! 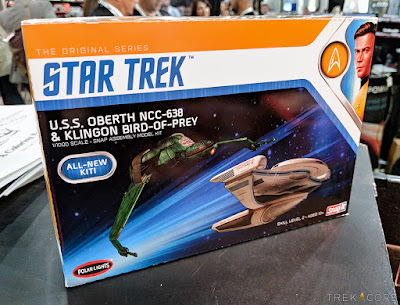 They are hoping to have this kit ready for release in September. There will also be an accompanying lighting kit, ready to give that classic torpedo tube glow (I hope), and little twinkles to all those windows. If the sales are good they also plan a Kronos One version to come later. 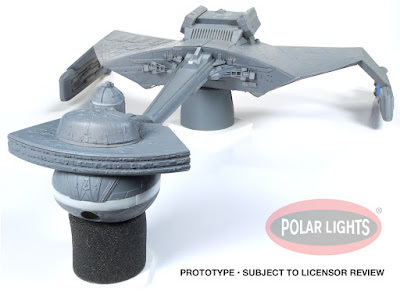 Meanwhile They have two smaller new kits coming much sooner. 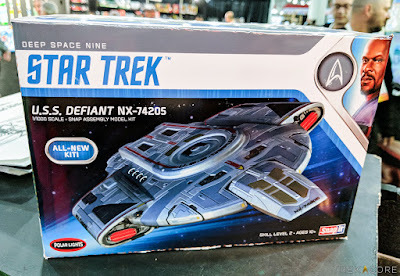 At the recent New York Toy Fair TrekCore snapped shots of packing mock-ups for the forthcoming Oberth class and Klingon Bird of Prey two-pack, and the USS Defiant. Both releases are new kits, at 1:1000 scale. 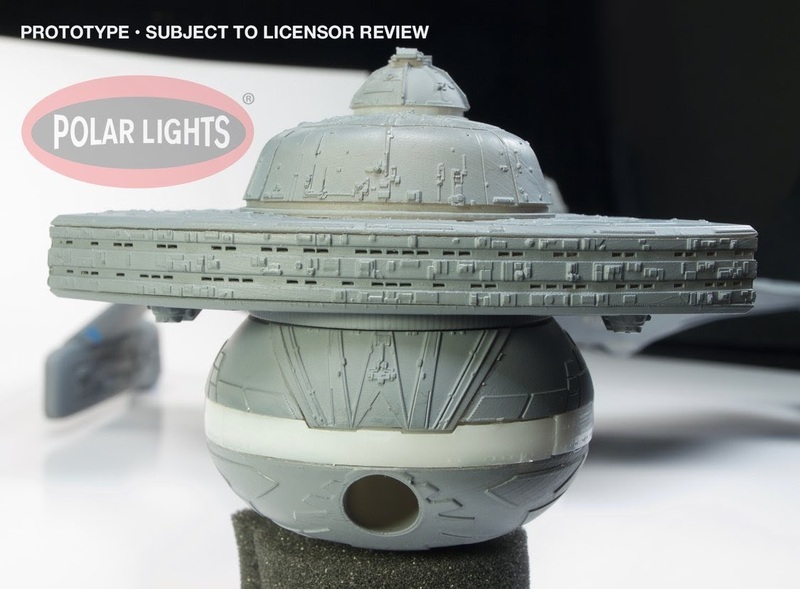 Finally, Round 2's most recent re-issue has been confirmed for release this month in their latest product spotlight video. 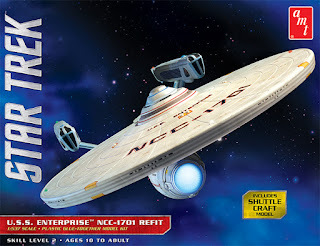 So keep an eye out for the 1:537 scale refit USS Enterprise kit, available imminently. To stay up to date on all the latest Star Trek model kit releases, check my 2018 schedule page.